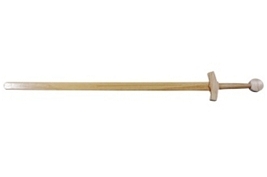 A beautifully crafted wood replica of the Kung Fu Sword. Finished walnut wood, sanded and lacquered. 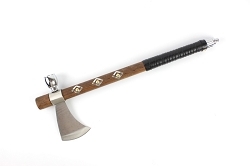 The blade is 27 inches and the handle is 7-1/2 inches. Each sword is $13.99, but if you buy a set of 2 you will save a little moola. Buy 3 and save a little bit more. 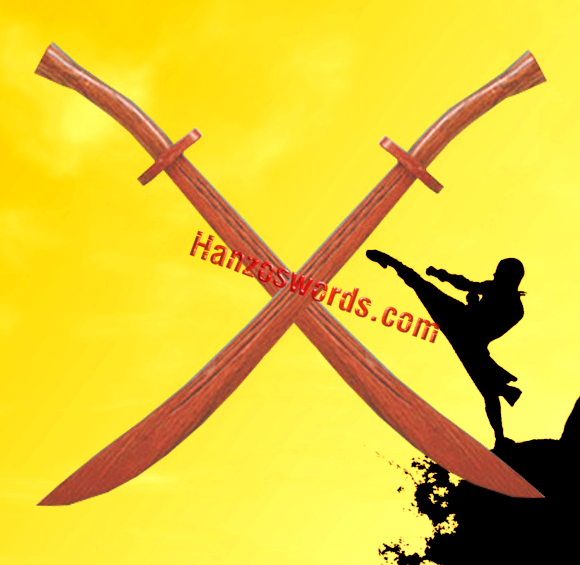 We will give you a discount automatically when you buy multiple Kung Fu Broad swords. 10 or more are $10.99 each. PLEASE NOTE: Picture shows two, but if you buy one, you will receive 1. If you buy 2, you will receive 2 as pictured. Buy 3, you get 3. Any confusions, just email us. I bought these to spar with my cousin. 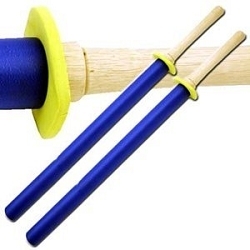 We had a blast beating each other up with these.